How do we improve our businesses, achieve our goals, and work towards a successful 2018? It starts with your involvement in NARI Charlotte and the value it brings to you and your business. BUILDING BUSINESS Through personal and professional relationships, NARI members have seen measurable increases in business by being a part of NARI Charlotte. Successful businesses surround themselves with successful people. Build a powerful network of "contacts of influence" in your industry and adjacent industries. EXCHANGE OF KNOWLEDGE among experienced professionals. RECOGNITION/VALIDATION As a contractor, being able to compete locally and nationally in the Contractor of the Year awards is a true measure of how your work compares to other accomplished industry leaders. Subcontractors, suppliers and vendors can gain similar recognition as "team members" providing value to these awarded projects. 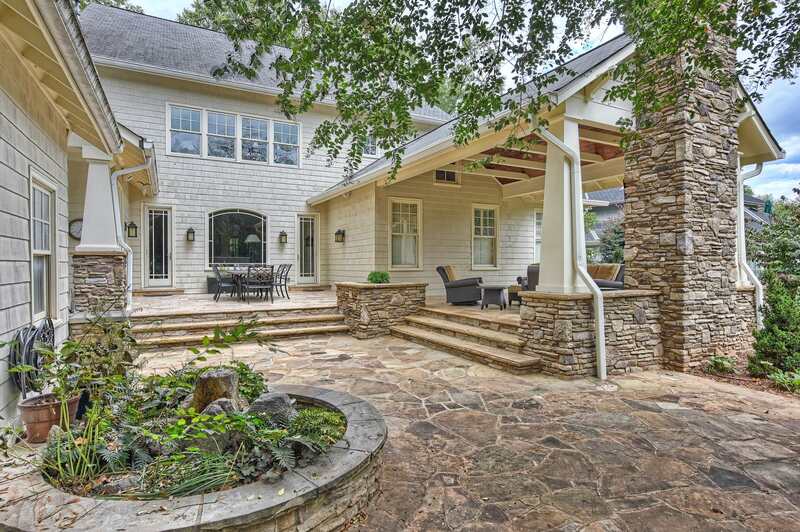 ETHICS NARI is the trusted source in remodeling. Educated consumers see the value of the NARI logo. All members must abide by the NARI Code of Ethics. 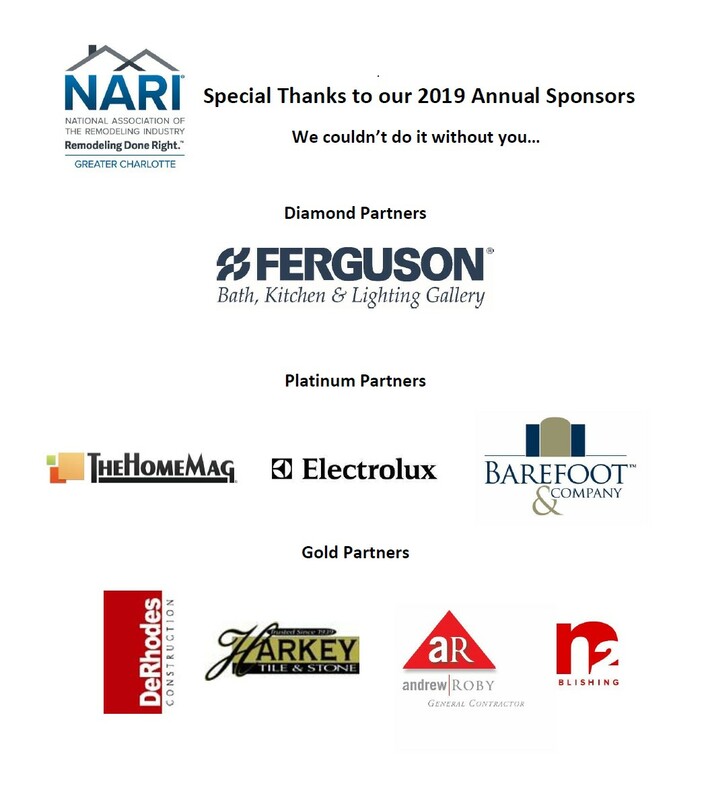 EDUCATION/CERTIFICATIONS Our strong relationship with NARI National will continue to provide our members the opportunity and resources to stay ahead of the curve in the remodeling industry. NARI National offers six certifications to members. ADVOCACY NARI lobbyists provide our membership and industry a "seat at the table" and "voice" when it comes to legislation that affects our livelihood and future. BRANDING In addition to attaching our brand to good works in the community, NARI Charlotte has numerous local media partners that continue to advance and promote the NARI Charlotte brand and the businesses that are associated with it. Additionally, a national consumer awareness campaign is under way to strengthen the NARI brand. We're doing things right, as proven by winning FOUR of the last Five NARI National Chapter of Excellence Awards at the annual National Spring Business Meeting. From a contractor/remodeler: "The ability to hang out and talk business shop, successes and struggles, with other business leaders, is the most rewarding education possible. I attribute a tremendous amount of my business successes to this fact." From a sub-contractor: "Through the relationships we have generated from our membership in NARI and various professional speakers, we have gained a wealth of industry knowledge. 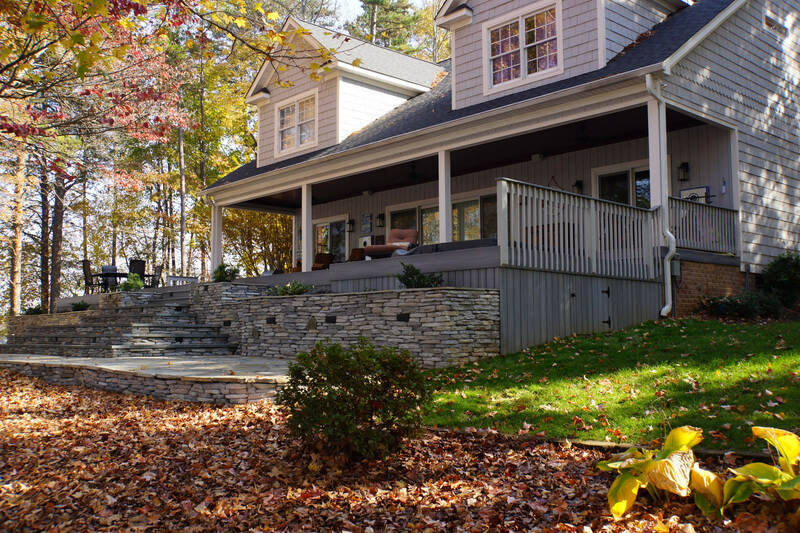 We also know that when we are asked to complete a project with a NARI professional, we are dealing with a first class organization that will perform a first class project. NARI has been instrumental in our organization's growth since the inception of our membership." From a supplier: "NARI has offered me personal and professional growth, from the relationships to the opportunities to work with a group on a common mission to improve the remodeling industry. The relationships formed have also generated additional business opportunities for my company." Join us monthly on the last Thursday of the month, for our Monthly Dinner Meeting. You will join 100 - 150 fellow members and guests, to strengthen your network with leading professionals in our industry in our market. Speakers and Content - Market Analysis and Strategy from Hanley Wood, Business Sustainability from SEN Design, updates from Mecklenburg County Code Enforcement, NARI National coming attractions, and local leaders. Monthly presence and quarterly updates from the Mecklenburg County Code Enforcement office. This will allow us to stay up to date with an entity that should be a great resource to our efforts. Potential topics include, "How to handle complaints", "Available resources", "Technology and road ahead", "Changes in the contractors laws", etc. Charlotte Rescue Mission (5th Tuesdays) donating/cooking/serving of dinner. Pins for Kids - Bowling fund-raiser that will allow us to send dozens of high-risk teens to Summer Camp. Sponsorship CCBIA Carpentry and Masonry Contest for local high school construction programs. Level 5 Leadership Forum - A small business advisory council rooted in professional development reading. Continue to grow our Contractor of the Year Awards with new heights in project entries, visibility and attendance.